You won’t find Jaguar calling the F-Type a tribute or spiritual successor model of the Jaguar E-Type, but in many ways it is. 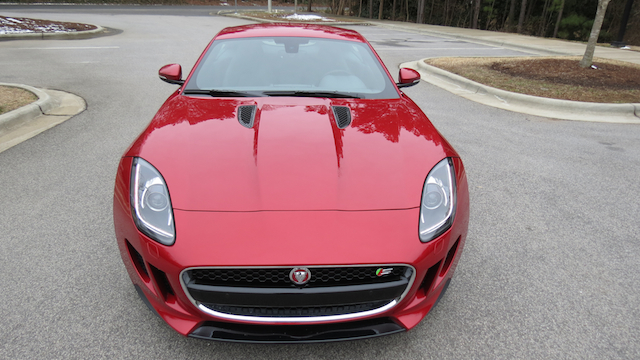 Forty years after the earlier sports car was canceled, an all-new Jaguar F-Type model arrived in 2014. The F-Type has the long hood, rounded side body panels and the spheroid taillight touches of the earlier model, but beyond that Jaguar’s sports car is modern and ideally suited to take on such competitors as the BMW Z4, Porsche 911 and the Mercedes-Benz SLK Class. Our Jaguar F-Type buying guide covers the first five years of this model’s run. Please use it if you’re shopping for a Jaguar F-Type. The F-Type is Jaguar’s quintessential sports car. The 2014 Jaguar F-Type immediately served notice that a new British sports car not named McLaren or Lotus had arrived. But instead of a full frontal assault, Jaguar dipped its toes in the market, by presenting just one of the two expected body styles, and a convertible at that. Further, Jaguar chose a conservative route with the F-Type’s powertrains and drivetrains, by holding off on the eventual manual transmission and all-wheel drive options expected. But don’t think anything less of the 2014 Jaguar F-Type because of its modest debut. What you have is a stunningly handsome design marked by a large grille opening bordered by air intake chambers. Upwardly sloping headlamps with natty LED accent lights nearly complete the frontal presentation. Of course, we’d be remiss to forget the clamshell hood, a style which is also favored by such competitors as the Maserati Ghibli and Chevrolet Corvette. Scan your eyes along the profile and the rounded panels dominate. Jaguar’s designers could have left well enough alone, but added an uninterrupted line that begins at the front of the car, crosses the front fender and door before fading away as it bends at the rear. The evocative Jaguar F-Type’s profile view. A second line flows from wheel to wheel, intersecting with a wheel vent before dipping as it bypasses the flush door handle. 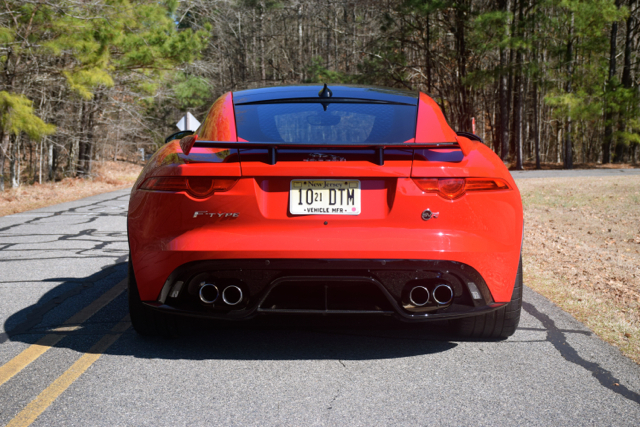 From the rear, the Jaguar’s haunch is marked by narrow wraparound tail lamps and dual exhaust tips centered within the rear diffuser. Inside, cozy is the operative word. The seats, while comfortable and supportive, may not work for taller individuals. But they’re adjustable and that’s a saving grace for drivers who do fit inside. Attractively stitched leather, metallic accents and firm controls (which are ideally placed) underscore the attention to detail we expect. Never mind the stellar build quality inside and out. Concerning technology matters, the Jaguar F-Type does a few things quite well. Beginning with the 2014 model, a 10-speaker audio system with a CD player, smartphone integration, a USB port, and an auxiliary jack are standard features. An 8-inch color touch-screen display is included. Optionally, Jaguar offers a 12-speaker audio package. Various driver-assist features are available as part of an optional Vision Package. Here, you’ll find a rearview camera, blind spot monitoring, reverse traffic detection along with front and rear parking aids. An available adaptive front lighting system improves night visibility while cornering. Automatic high beams is another option. This Jaguar’s center console includes an integrated passenger grab bar. The 2015 model returned without technology changes. For 2016, the F-Type has a new telematics and connectivity suite, including automated emergency calling and smartphone connectivity. However, shoppers should know that at no time through this model’s first five years has Jaguar offered Android Auto or Apple CarPlay smartphone integration. As for 2017, the technologies remain the same. Beginning in 2018, the F-Type has a new infotainment system, which features a tablet-style screen for controlling audio, navigation and other functions. GoPro camera integration is also new, which includes an app for producing video. An available forward-facing camera works with the Jaguar’s emergency braking system to enhance automatic braking. Adaptive speed limiter, traffic sign recognition and driver condition monitor are also new this year. Parallel parking assist is available. Jaguar and Land Rover are joined at the hip, therefore the engines and transmissions they offer are shared between these two iconic British brands. From the onset, this Jaguar has offered both a supercharged V6 engine displacing 3 liters and a supercharged 5.0-liter V8. The standard engine makes 340 horsepower and 332 pound-feet of torque, except in “S” models where it makes 380 horsepower. 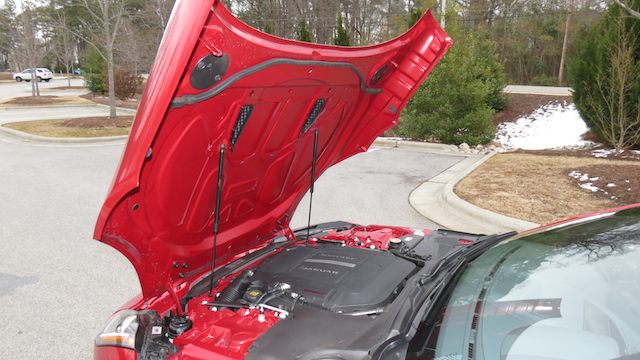 What’s under the hood of your Jaguar? The V8 engines deliver a blistering 495 horsepower and 460 pound-feet of torque. Both engines work alongside an 8-speed automatic transmission with rev-matching and paddle shift controls. All F-Type models have a brake-based torque vectoring system, which contributes to a more planted feel when taking sharp corners. Further, V6 rear-wheel-drive models have a mechanical limited-slip differential, while V8 models have an electronically controlled version. Jaguar also includes a drive mode selector, which supplies switch-operated control under a variety of conditions, including rain, ice, and snow for better grip. On dry roads, the system adjusts transmission shifts and engine RPMs. Jaguar never hesitates to make changes to its halo F-Type sports car. Each subsequent model year seems to build on the previous one with those changes going beyond a simple update. For its first year, the F-Type was available as a convertible only and in base, S, and V8 S trims. For 2015, the coupe joined the ranks. It can be found in S and R editions, the latter sharing the same supercharged V8 found in the coupe, but with its performance kicked up to 550 horsepower and 502 pound-feet of torque. As before, all engines work with an eight-speed automatic transmission. A pronounced hump and quad tip exhaust tips. Beginning in 2016, the F-Type received what some enthusiasts had long wanted: a six-speed manual gearbox. This manual delivers the quick shifts you’d expect in a sports car. Also new this year is optional all-wheel drive. The automatic transmission is your singular choice here. Other changes include the discontinuation of the V8 S model and the introduction of electric power steering, which replaces the previous hydraulic system. The changes for 2017 include the addition of two new trims. A new base model kicks things off, while an SVR trim is the new range-topper. In between, you’ll find Premium, S and R trims. The SVR keeps the supercharged V8, but it also receives an exclusive bump in performance to 575 horsepower and 516 pound-feet of torque. Moreover, the SVR features a specially tuned suspension, wider tires and wheels, and an optional carbon-fiber roof and carbon-ceramic brakes. For its fifth year, the 2018 Jaguar F-Type gains a third engine. This one is a 2.0-liter turbocharged four-cylinder with an output of 296 horsepower and 295 pound-feet of torque. Jaguar pairs this rear-wheel-drive-only model with an eight-speed automatic transmission. This engine is the new fuel efficiency leader as it makes an EPA-estimated 23/30 mpg city/highway. Compare that with the V6 at 20/28 and the V8 at 15/24 and the difference are certainly noteworthy. Also new for 2018 is a special “400 Sport” edition, which raises the V6’s performance to 400 horsepower. Lastly, Jaguar discontinued the S trim and rolled out an R Dynamic trim to replace it. If you have your heart set on Jaguar’s sports car, you’re not alone. Some models, however, are much more difficult to find than others, especially those equipped with the manual transmission. 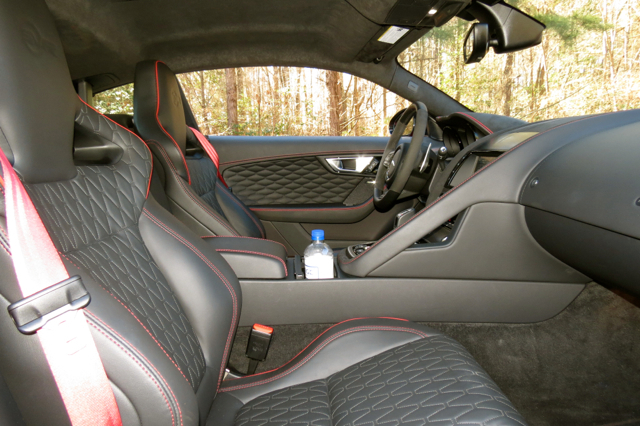 Package options can affect pricing considerably, especially on the SVR trim. 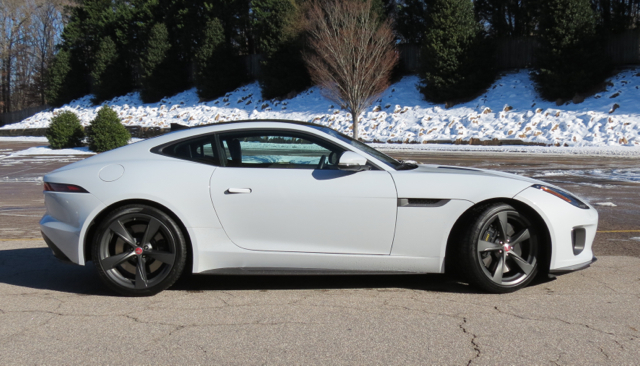 All in all, the Jaguar F-Type is the type of sports car we expect from this British marque. Thickly bolstered seats are ideal for the slaloms. Vietnam throws its hat into the automotive manufacturing ring. 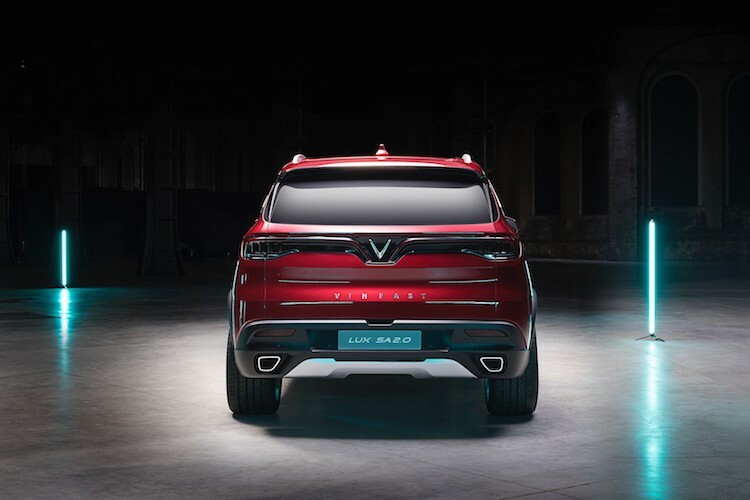 The VinFast SUV reflects Italian design acumen. 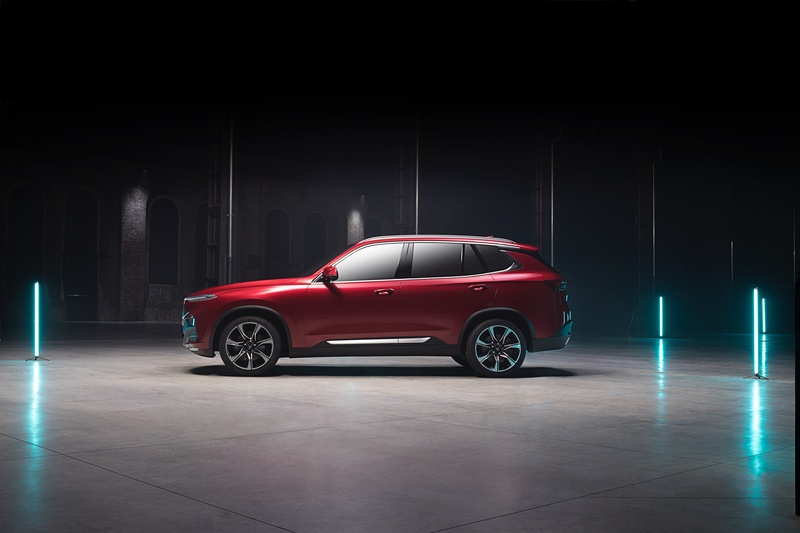 Vietnam has a homegrown car company known as VinFast and this upstart automaker is showcasing its new models at the 2018 Paris Motor Show. VinFast is not a household name and its vehicles aren’t likely to be sold in the U.S. anytime soon. Nevertheless, the Vietnamese automaker has two models to show for it, with both going into production in 2019. 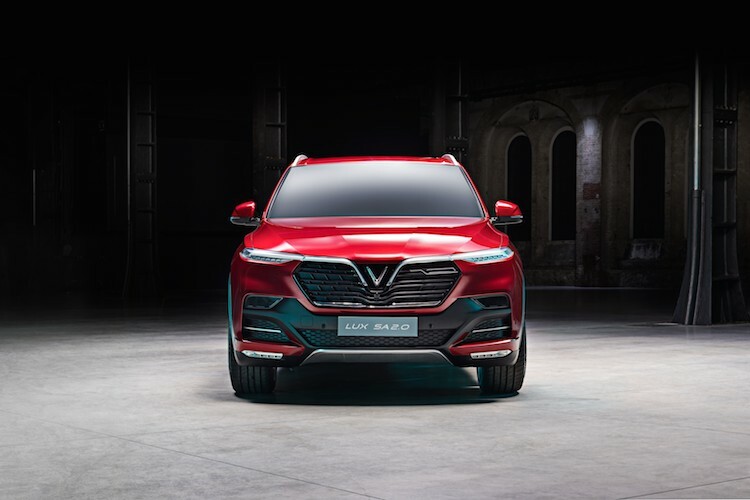 VinFast is the first Vietnamese automaker, but it isn’t the first company to produce new cars in this Southeastern Asia nation of nearly 100 million residents. Most passenger vehicles produced in Vietnam are from knock-down kits, cars partially assembled abroad then completed locally. Chevrolet, Hyundai, and Toyota are among the brands present. As for VinFast, the company is making it clear that its Italian-inspired models are Vietnamese influenced. The company tapped Pininfarina, the Italian design house with developing the new models based on consumer input. The result is two models, a sedan and a crossover utility vehicle, that the company believes reflect the country’s spirit. VinFast calls its two models the LUX A2.0 and LUX SA2.0, names that hardly roll off of the tongue or are easy to commit to memory. Nevertheless, this naming strategy has been embraced by upstart automakers before (e.g., Ford Model T and A; every European manufacturer), but may eventually change especially as the company eyes foreign markets. Not wasting any time, VinFast tapped retired English professional footballer David Beckham to tout the brand. Beckham was introduced at the 2018 Paris Motor Show for the official unveiling of the two VinFast models. “I’ve always been a car fanatic, and it’s a thrill to be here in Paris to celebrate the arrival of a new carmaker on the global stage. When I met you and your colleagues backstage earlier, the passion that you all have for the cars is infectious. It’s an inspirational story and I’m really excited to be part of this launch moment for VinFast,” noted Beckham to VinFast personnel. 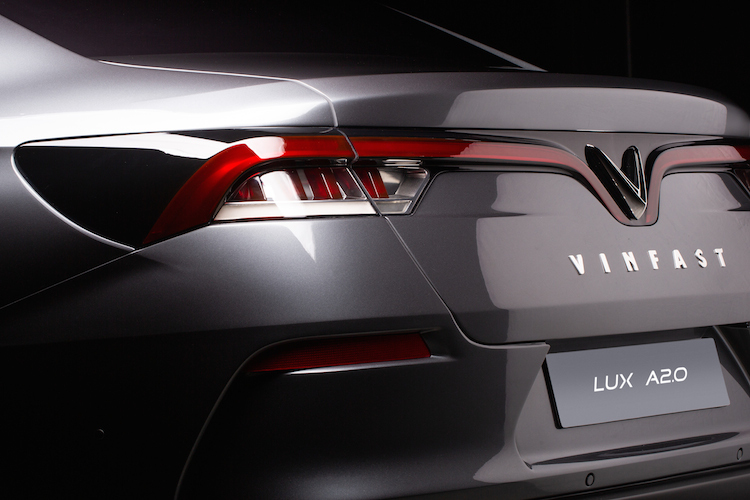 The VinFast sedan is based on a rear-wheel-drive architecture. Not all details about the new model have surfaced yet. The only photos supplied by the manufacturer are exterior shots. But those photos do reveal the artistic design flair incorporated. VinFast could have chosen a more utilitarian look and satisfied its home audience. But the automaker is looking to begin exports not too soon after Vietnam consumers become acquainted with the brand. We do know that powering both models is a turbocharged 2.0-liter four-cylinder engine paired with an 8-speed automatic transmission. Apparently, there will be two performance variants. The first one will produce 173 horsepower and 221 pound-feet of torque. The second one has an output of 231 horsepower and 258 pound-feet of torque. The sedan will offer both choices, while the utility vehicle will have the higher output version only. Both models, by the way, offer standard rear-wheel drive. The SUV will also have an all-wheel-drive option. This is a common layout for premium European models. VinFast has already indicated it won’t stop with its two initial models. Indeed, the company has struck a deal with General Motors to market a city car under the VinFast name. VinFast and GM also have a partnership agreement in place, which resulted in the transfer of GM’s Hanoi automotive plant to VinFast. Other models planned include an electric car and an electric bus. All three models are currently under development. What are VinFast’s chances of success? It may be quite good as the company has extensive government backing and sought early on to bring consumers to the development process. It would be foolish for anyone to underestimate the company’s potential, given that manufacturers such as Hyundai and Tesla have successfully disrupted the market in their own time and expertise.